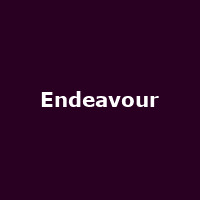 Endeavour are a progressive metal band from Bristol formed in 2009, fronted by singer Chris Hawkins, featuring Iain Davies - guitars/ backing vocals, Ben Hands - bass and Jake Stone - drums. "Endeavour are a collective of nerds with a knack for making epic, skull crushing prog metal. Channeling the aggression of bands like Machine Head and Pantera into the progressive form of bands such as Dream Theater and Porcupine Tree, Endeavour combine dual vocal harmonies, mammoth riffs and versatile songwriting to forge modern metal with old-school ethos."